It’s safe to say that the SEC has some of the most passionate fans in College Football. Some may say that this passion can be considered as a gift and a curse. Remember this guy by the name of Harvey Updyke who decided to poison the trees at Toomer’s Corner on Auburn’s campus. Destroying a tradition for an entire university, because of an Alabama lost. Most recently the Ole Miss fan that was caught on camera ranting, and crying hysterically about the Ole Miss lost. During previous years many fans, especially at LSU take certain losses very personal. In 1994 former LSU QB Jamie Howard threw five interceptions during a lost against Auburn. Howard received death threats, and his experience with such vial scrutiny at LSU lead him to actually move away. On Nov. 15, LSU suffered a tough lost vs. Arkansas, an annual rivalry that fans look forward to at the end of each season. LSU currently leads the rivalry 37-21. However as many SEC fans know for the past 3 years Arkansas’s football program has fallen short of meeting SEC powerhouse expectations. Although the part that hurt many fans the worst, is the fact that Arkansas was on the path of a losing season, until the 17—0 shutout vs. LSU on this unfortunate Saturday night. Unfortunately post game things took an ugly turn on social media. It’s known that many fans after a lost find a way to let out their frustration. Most fans choose to focus on a particular individual whether it be a player or coach to direct their anger towards and to blame. This time it was LSU’s QB Anthony Jennings. This hasn’t been the first time that Jennings has experienced some type of scrutiny from fans, from being chanted and booed off the field, to receiving nasty tweets on Twitter. Although this time fans, if people could actually call them that, took things to extreme levels. Those tweets will not be quoted in this article due to the explicit content, and the fact that dirt such as those tweets don’t deserve to be replicated. Jennings who is only age 20 and only a sophomore at LSU, received death threats after the lost vs. Arkansas. Many so call fans took to twitter, threatening to take his life, expressing how bad of a player he is, and taking every stab at his confidence that they could. Yes people have a right to their own opinion and everyone has the right to the freedom of speech. Although many forget that these players or still human just like the fans. An athlete such as Jennings works hard day in and day out to make LSU fans proud, from two-a-days, weightlifting, hours of studying video, and let’s not forget that he is a student first. Which includes him attending class full time and outside tutoring numerous days out of the week. Even with the scrutiny throughout this entire season Jennings still had the respect for LSU, his teammates, and the fans to put on his uniform, and go out on the field and play. Surely there were times he probably would rather just sit on the bench than to take on offensive scrutiny. So shouldn’t there be a bit more respect for a guy who still goes out on the field and play for fans who may not always support him. Because true fans should love their team win or lose. Taking drastic measures by threatening someone’s life won’t turn a lost in to a win because what’s done is done. Fans should probably take a step back and realize that if Jennings can still go on the field and play for fans who scrutinize him, that those same fans should be able to still support him after a lost. There are other things that actually deserve a lot more scrutiny than Jennings, like the fact that gas is still not a $1.75. That’s something to really be upset about. Fans should realize that kicking someone while their down doesn’t help anyone feel better. Jennings deserves much more respect than having his life threatened over losing a game, try taking a walk in his cleats. Tiger fans let’s show the world more class than trash. Think about it even though Harvey Updyke was completely wrong for poisoning those trees, he wasn’t trying to hurt his own team. So stop the threats and show support. This entry was posted in College Football, LSU Football and tagged fans, jennings, LSU, SEC on November 27, 2014 by crawford. The SEC Network’s “SEC Nation” show visited LSU on Saturday for the first time since launching this season. Fans joined Joe Tessitore, Tim Tebow, Marcus Spears, Paul Finebaum and Kaylee Hartung as they discussed the day’s action. LSU fans were excited as arguably the two most notable pregame college football shows have visited the campus for consecutive games. “College GameDay” brought its show to Death Valley on Oct. 25 as the Tigers faced the then No. 3-ranked Ole Miss Rebels. This was the Tigers second straight matchup against a top-three opponent. It was a homecoming of sorts for former LSU Tiger Marcus Spears, who was an All-American and a member of the 2003 BCS national championship team. As early morning tailgaters made their way over to the set of “SEC Nation,” Spears received many loud cheers as he openly reflected on his days of playing in Tiger Stadium and the game day atmosphere. He also helped to ignite the crowd as he led the Tiger marching band while it played the school fight song. Fellow co-host Tim Tebow also garnered many cheers as well as boos while on set. Many fans wore Tim Tebow jerseys and received autographs from him following the show. The former Florida quarterback said that Tiger Stadium was one of the toughest places to play. He didn’t fail to disappoint Tiger fans as he picked the Crimson Tide to defeat LSU. Another fan favorite was Hartung, who is the only female member of the cast. In addition to her normal duties, Hartung was also celebrating her birthday which was Friday. The next stop for “SEC Nation” will be Texas A&M on Nov. 15. This entry was posted in Uncategorized and tagged Alabama, LSU, SEC, SEC Nation on November 10, 2014 by colin. LSU fans rush the field after the Tigers upset Ole Miss on Oct. 25. If Tiger fans take their celebrations onto the field Saturday after the game against No. 4 Alabama, LSU will have to pick up a much heftier tab than they did after the Ole Miss game. After the Tigers upset No. 3 Ole Miss in Tiger Stadium on Oct. 25, hordes of fans triumphantly swarmed the field. LSU appeared to accept the inevitable. Police officers did not line the gates at the base of the student section as a preemptive strike against stampeding fans, not even after LSU safety Ronald Martin intercepted the ball with two seconds left in the game. The Athletic Department also fully accepted the price tag of the celebration: a $5000 fine for violation of the SEC’s access to competition area policy. Athletic Director Joe Alleva addressed the fine shortly after the Tigers’ triumphant victory. “I hope I have to spend it again two weeks from now,” he said. Alleva quickly changed his tune, however. He released a statement on Oct. 28 instructing fans to not enter the field after the next football game against Alabama. The monetary cost of storming the field for the second time this season is almost certainly a major concern of Alleva’s. The SEC fined LSU $5000 for its first infraction. The fine for a second violation would surge to $25,000. In the event of a third violation, the University would owe a $50,000 fine, according to a CBS Sports report. LSU’s athletic budget is currently $109 million, according to a report from USA Today. The $5000 fine for the post-Ole Miss game celebrations represented the first time LSU has been fined for storming the field. According to CBS Sports, the SEC’s policy against entering the competition area was enacted in 2004. The last time LSU fans rushed the field was in 2001, after LSU defeated Auburn in Tiger Stadium. The potential cost of storming the field goes beyond the SEC fine. It is certainly foreseeable that a fan could be seriously hurt in the rush to the field. Furthermore, the University would face a host of liability issues if someone became injured, especially if the athletic director encouraged spectators to rush the field. Rushing the field after a hard-fought victory is a storied component of LSU lore, from the fans who tore down both goal posts after LSU upset No. 1 Florida in 1997 to those who speckled the field in purple and gold on Oct. 25. However, a $25,000 fine for rushing the field is unprecedented. The costs – monetary and emotional – of an injured fan would be even higher. If the Tigers defeat Alabama on Saturday, the Athletic Department will almost certainly take steeper measures to ensure fans keep the festivities in the stands. This entry was posted in Uncategorized and tagged Alabama, feature, Feature Story, features, LSU Football, Ole Miss, SEC on November 7, 2014 by lrabalais. The LSU Tigers extended both their overall and SEC winning streak to two games Saturday night as they defeated the Kentucky Wildcats 41-3. It was the Wildcats worst loss of the season. LSU jumped out to an early 17-0 lead in the first quarter and never looked back. It was the Tigers’ most points scored in the first quarter of an SEC game since scoring 21 in the opening quarter against Ole Miss in 2011. The Tigers were led by senior running back Terrence Magee, who rushed for a team-high 127 yards and two touchdowns. He also made a big contribution on special teams as he returned the opening kick off 49 yards and drew a facemask penalty against Kentucky on the play. The Tigers utilized a balanced attack as the offense, defense, and special teams all made big plays to get an early lead. “I think it’s the best overall game of the year we have had thus far start to finish and how wonderful it was to be in Tiger Stadium,” Head Coach Les Miles said. While the offense scored on its first two possessions the defense forced two straight three-and-outs, one of which led to a 67-yard punt return touchdown by sophomore defensive back Tre’Davious White. White also had a punt return of 48 yards and finished the night with 114 total punt return yards. The touchdown by White marked the first special teams touchdown of the year for the Tigers. It also meant that LSU has scored at least one special teams touchdown in all 10 seasons during Miles’ tenure as head coach. The Tigers decided to run early and often as the team finished with 303 rushing yards. In addition to a good night from Magee, fellow running backs also chipped as Leonard Fournette scored a 1-yard rushing touchdown and Darrel Williams added 61 yards on 10 carries. The Tigers also converted more than half of their third-down attempts. While LSU found success running the ball the Wildcats struggled as they managed only 71 rushing yards on 27 carries. LSU’s defense stifled the Wildcats all game as the Tigers’ defense forced five three-and-outs as well as two turnover on downs. They also finished the game with two sacks. The Tigers’ defense was led by linebacker Kendell Beckwith and true freshman safety Jamal Adams. Adams finished with eight tackles and a sack while Beckwith finished with nine tackles despite being knocked out off the game early due to injury. The LSU defense held Kentucky to 217 total yards on offense. Wildcat’s sophomore quarterback, Patrick Towles completed 19 of 36 passes for 146 yards with his longest being a 33-yard completion to wide receiver Demarco Robinson. Kentucky managed just 3.4 yards per play. “We will not let one game define us,” Kentucky head coach Mark Stoops said. The Tigers nearly doubled the Wildcats in total yards despite having only 120 passing yards. Starting quarterback, Anthony Jennings completed just 7 of 14 pass attempts with his highlight being a 32-yard touchdown pass to Travin Dural. He also managed to rush for 53 yards. Backup quarterback, Brandon Harris saw his limited playing time late in the fourth quarter, but by that time the game had already been decided. Harris entered for the remainder following a 31-yard run by Anthony Jennings. Harris’ only pass attempt was intercepted in the end zone. Although this may have appeared to be an inefficient game for the Tiger quarterbacks, offensive coordinator Cam Cameron believes that progress was made. LSU will look to increase its winning streak to three games and upset a division foe on Oct. 25 as the Tigers face the No. 3-ranked Ole Miss Rebels. The Wildcats will face another tough SEC challenge for their next game as they face the No. 1-ranked Mississippi State Bulldogs. This entry was posted in College Football, Feature Stories, LSU Football and tagged Defense, feature, Game story, Kentucky, Kentucky Wildcats, LSU Tigers, Offense, SEC, Wildcats on October 19, 2014 by colin. Spring practice kicks off Thursday for the LSU Tigers down on the bayou. LSU begins spring drills having to fill the holes left by 11 players who opted to leave early for the 2013 NFL Draft, plus several other seniors who completed their eligibility. With the addition of Cam Cameron as the offensive coordinator, Tiger fans wonder how the new changes will impact this season’s outcome, along with the lack of experience leading the helm. Miles is giving senior Zach Mettenberger the starting job at quarterback, with sophomore Stephen Rivers starting the spring as his backup. According to Miles, Mettenberger needs to be more patient with the deep ball and make better choices on the field. Two juniors, Odell Beckham Jr. and Jarvis Landry, along with senior Kadron Boone are returning wide receivers for the Tigers. But newcomers, John Diarse and Avery Peterson could get some great looks during the 15 practices. On the offensive line, La’El Collins will get a try at left tackle and senior Josh Williford will experiment at center. Sophmores Trai Turner and Vadal Alexander will continue where they left off at the end of last season at right guard and right tackle, respectively. Two freshmen, Jerald Hawkins and Ethan Pocic, are quality additions for LSU on the offensive line, while juniors Elliot Porter and Fehoko Fanaika raise the bar of physicality for the Tigers. According to Miles, bringing back both seniors, J.C. Copeland and Connor Neighbors, will give LSU depth at the fullback position. All four returning backs for the Tigers, brings more depth at the tailback spot. Sophomore Jeremy Hill leads the way after taking over that starting role last year, followed by junior Kenny Hilliard, senior Alfred Blue, and junior Terrence Magee. LSU hopes their play will give the Tigers a more productive offense, though it probably won’t be up to the running game alone. At the tight end position, sophomore Dillon Gordon and junior college transfer Logan Stokes will add to the offensive productivity. According to ESPN, scouts like Stokes’ agility and ball skills. Also, watch for junior Travis Dickson, who had some good grabs in limited opportunities last season. This entry was posted in Uncategorized and tagged football, LSU, LSU Bengals, LSU Tigers, NCAA, Offense, SEC, SEC Offense, Spring practice, Tigers on March 14, 2013 by Chessa Bouche. Hope springs eternal with the arrival of spring practice for college football programs across the country. Players have opportunities to replace departed leaders and coaches get their first chance to look at the type of team they’ll be tasked with coaching for the 2013 season. Once again, the SEC figures to boast several impressive teams in 2013. Let’s take a look at each of the teams in the Eastern division of arguably the toughest conference in all of college football. Each team will feature one key returning player from both the offensive side and defensive side of the ball, as well as an overall outlook for the 2013 season. Key Offensive Returner: Jeff Driskel. While statistically unspectacular in 2012, Driskel still managed to record wins against Texas A&M on the road, against LSU and South Carolina in his first full season as the Gators’ starter. You can argue the Gators’ defense and power running game was primarily responsible for those wins, and maybe they were, but that was last year. This year, look for Driskel to play a larger roll in the Gator offense and try to erase the memories of a poor showing in the Sugar Bowl. Key Defensive Returner: With Sharrif Floyd leaving the Gator D-Line for the NFL, look for Dominique Easley to emerge as the next athletic specimen out of Gainesville. Easley has 23 career starts and had five tackles in the Gators’ Sugar Bowl loss to Louisville. Outlook: The Gators are coming off a royally disappointing end to their 2012 season at the hands of Teddy Bridgewater and the Louisville Cardinals. Florida was humbled in the Sugar Bowl against the Big East underdog and saw the key departures of backup quarterback Jacoby Brisset due to transfer, leading rusher Michael Gillislee to graduation and Sharrif Floyd to the allure of the draft. The Gators head to Miami to face the Hurricanes in their second game of the season and travel to LSU, Missouri and South Carolina as well. Not the easiest of schedules and with an offense looking to gain traction in Jeff Driskel’s second year as a starter, the Gators may very well finish with a 9-3 regular season record. Key Offensive Returner: It seems like Aaron Murray has been at Georgia forever. The Georgia quarterback enters his final season with the Bulldogs having started the past three seasons for March Richt. Last year Murray threw for 36 touchdowns and came within a few frantic seconds of taking out Alabama in the SEC championship game. Murray’s arguably the best quarterback in the conference this year and as long as he’s running the show in Athens, the Bulldogs are a potent offensive team. Key Defensive Returner: Rising sophomore Jordan Jenkins registered five sacks in his debut season with the Bulldogs last year. He’ll be counted on to produce even more this year with the loss of All-Everything linebacker Jarvis Jones departing for the NFL. Outlook: The Bulldogs will be facing a slew of experienced quarterbacks this year, so replacing the pressure Jones consistently brought will go a long way to determining Georgia’s defensive success. The Bulldogs get Clemson in the “other” Death Valley to start the season, so right away they’ll find out what kind of team they have. Tajh Boyd is a serious offensive force, and the Tigers constantly overflow with offensive skill talent. Games against South Carolina, LSU and Florida all figure to pose considerable challenges for Murray and the Dawgs, but luckily for Georgia fans, Murray is as experienced as any SEC starting quarterback could be. In his final year, Murray takes the Dawgs to an 11-1 regular season (they’ll get caught at least once this year) and back to Atlanta. Key Offensive Returner: Jalen Whitlow threw for 801 yards and ran for another 312 in his debut season for the Wildcats. The rising sophomore is listed as a quarterback/athlete on Kentucky’s roster and his athleticism and versatility is reminiscent of former UK standout Randall Cobb. It is unclear who will start for the Wildcats this year under center, but Whitlow’s skills should find him making a difference somewhere on the field. Key Defensive Returner: Alvin Dupree is an impressive physical specimen at linebacker, standing at 6-foot-4, 249 pounds. Dupree tallied 91 total tackles and 6.5 sacks in 2012 and looks to be a featured part of UK’s 2013 defensive unit. Dupree is physically gifted and produces results and could become one of the more notable defensive players to come through Lexington in quite a while. Outlook: Kentucky looks like it will continue to provide the flooring that the rest of the SEC teams walk on in 2013. To add insult to injury, in-state rival Louisville suddenly boasts a top-flight quarterback and a prolific offense. Want to rub it in? Kentucky has to play Alabama this year. They don’t know who they’ll play at quarterback yet and things could get interesting in Mark Stoops’ first season as head coach. The Wildcats have pulled surprise upsets before and should be counted on to mimic Stoops’ fiery personality, but they shouldn’t do any better than 4-8 in 2013. It has to be James Franklin. The Tigers’ starter coming into the 2012 season, Franklin looked to lead an offense that could potentially make waves in their first season against SEC defenses. Unfortunately, Franklin battled health problems last year and at times during games looked like he was only playing at half-speed. He’ll have another crack at the job this year, but Corbin Berkstresser will give him a run for the job this spring and on into fall after starting a handful of games for the Tigers in Franklin’s absences last year. Key Offensive Returner: OK, so this isn’t a defensive player, but let’s just say Missouri needs to fill the hole left by Sheldon Richardson on the defensive line, among other positions. Otherwise, the return of sophomore wide receiver Dorial Green-Beckham overshadows what’s happening on the Missouri defense. One of the most talented players ever to sign with Missouri, Green-Beckham largely underperformed in his first year for the Tigers, registering only one start and catching 28 passes for 395 yards and five touchdowns. Not bad for your average freshman, but DGB was supposed to be the next A.J. Green. He’ll have to play a larger part for Mizzou this year if the Tigers want to make any noise in the SEC. Outlook: The Tigers got a lesson in “Grown Man Football” this year in the SEC. At times, Missouri looked overmatched physically. It’s always been known that SEC teams succeed by dominating the line of scrimmage and Missouri has to continue to adjust. The Tigers sport a new full-time starter at quarterback this year, and they should check in at about 6-6 this season, but mostly thanks to a soft non-conference schedule. Key Offensive Returner: Anyone could list Connor Shaw or Dylan Thompson, the two talented quarterbacks in Columbia, as the keys to the Gamecocks’ upcoming season. But a greater question remains how does Carolina go about replacing Marcus Lattimore? Interestingly enough, it looks like the answer is, “With the sibling of a sworn enemy.” Mike Davis, brother of former Clemson workhorse James Davis, filled in admirably when Lattimore went down last year with a gruesome knee injury. This year, he’s looking to start in his sophomore season and give Steve Spurrier a counter to whoever’s slinging the ball for the Head Ball Coach. Key Defensive Returner: Everybody’s favorite Julius Peppers comparison, Jadeveon Clowney. The man is an absolute freak of nature coming off the edge for the Gamecocks and at times seemed to channel his inner NBA player and take over games last year. 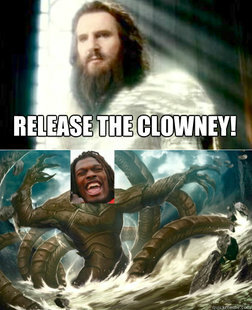 The only challenges this year for Clowney? Stay healthy and embrace consistency. There were times last year where the man-child disappeared on the field. Better effort over a longer period of time for Clowney could result in a 2013 season that is rarely ever seen. Outlook: South Carolina is coming off back-to-back 11 win seasons, returns arguably the nation’s best player in Jadeveon Clowney and has two experienced quarterbacks for Steve Spurrier to experiment with. The Gamecocks get Georgia early in the season to find out just how good they are, but what they may find is that they Lattimore more than they realize. Expect a 10-2 finish. Key Offensive Returner: Replacing Tyler Bray won’t be an easy task, but the Volunteers return running back Marlin Lane, who ran for over 600 yards in 2012. It’s always nice for a new quarterback to have a reliable guy in the backfield to hand off to, and Lane provides just that. Key Defensive Returner: Curt Maggitt is returning from an ACL injury suffered in 2012, but the linebacker figures to see a lot of time on the field for the Volunteers this fall. Maggitt defends the pass and run equally well and will be a valuable member of a defensive unit tasked with stopping the likes of Aaron Murray, Marcus Mariotta and AJ McCarron. Outlook: The Vols face an uphill battle this year in their journey to return to prominence under first-year coach Butch Jones. They’ll face Oregon in Autzen Stadium this September and travel to play Florida and Alabama as well. After struggling to win with a solid quarterback in Bray last season, it doesn’t seem that the Vols will experience any greater improvement this year, and look to go 7-5. this season. But don’t be surprised if they ruin someone’s Saturday at least once this year. Key Offensive Returner: Chris Boyd quietly put together a remarkable season in 2012. The 6-4 receiver posted over 700 yards receiving and scored five touchdowns. He will be looked to by whoever replaces Jordan Rodgers at quarterback for the Commodores this year. In the world of little known facts, Boyd is also an Eagle Scout. Key Defensive Returner: Chase Garnham lead the Commodores with 12.5 tackles for loss this past year, and paced the team with seven sacks. The linebacker will look to anchor the defense once again for Vanderbilt and lead a surprising team into 2013. Garnham’s Twitter account is also very enjoyable. Outlook: The Commodores always play better than their record indicates and last year, they finally started seeing success on the scoreboard. After a nine-win season that saw the team post wins against Auburn and Tennessee and snag a bowl victory over North Carolina State, the Commodores enter this season with a rare element: Expectations. Coach James Franklin is getting results in Nashville, but the loss of Jordan Rodgers at quarterback may hurt. The Commodores will go 7-5 this year and break a contender’s heart with their feisty play. This entry was posted in Blogs and tagged Carolina Gamecocks, feature, Florida Gators, football, Georgia Bulldogs, Kentucky Wildcats, Missouri Tigers, NCAA, SEC, Vanderbilt Commodores on March 11, 2013 by Michael Wunderlich.